The size of your boat can help you in determining what sort of trolling motor you need or which one could be the best trolling motor for you. For example, approximately 12-volt, 52lb thrust motor will be the right trolling motor if you have a 15-foot boat. Some anglers consider a 24-volt trolling motor more appropriate for their bigger boats but they ignore the fact that such smaller motors may run short of battery particularly in adverse conditions such as strong current or extreme weather. Anglers should keep in mind that the higher the motor voltage, the more thrust pounds the trolling motor will be having. This is why the bigger boat needs a motor of higher voltage. If the angler is aware of his boat weight then it would better help him in determining the motor thrust. Conditions and style of fishing play an important role in the decision of getting the best trolling motor. If a person wishes to do fishing on smooth lakes then the minimum thrust trolling motor would be the right option. However, if the angler spends most of his time in the fast moving water with a significant current then he will need a higher thrust motor. Moreover, if someone plans to do fishing for multiple days without the facility of recharging then he needs a very powerful motor which has the capacity to work well without recharging for several days. Two types of trolling motor include a bow mount or a transom mount. Both the types have their own significance. For a bow mount, there must be a flat bottom platform to make the fishing feasible while transom boat just clamps onto the boat stern and will work well with any craft style. 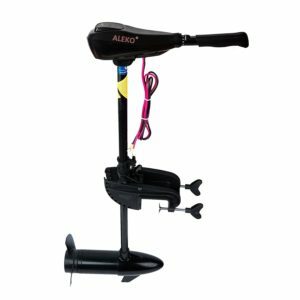 These transom trolling motors would be the best option for smaller boats as they are mounted by hand while a bow-mounted motor will produce superior results with bigger boats. 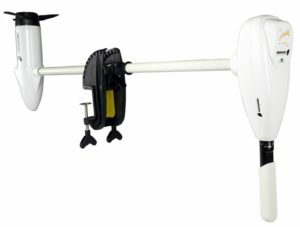 Every model offers different options so look for the mounting unit which suits well with the boat and the location of fishing. Shaft length is basically a measure of length from the head of the motor to the propeller at the bottom. Shaft length plays an important role n controlling the boat. Its length should be chosen carefully. Too short or too long shaft length poses certain problems in the long run. The shaft length is determined by the height of stern or bow. 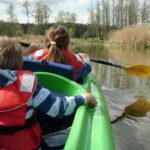 Canoes will require a shorter length shaft while the longer shafts will perfectly the deep V boats. Even the best trolling motor model comes in various shaft lengths so choose it accordingly. 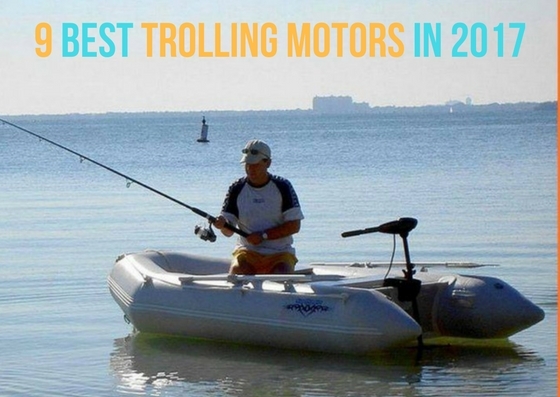 Sevylor electric trolling motor is one of the best trolling motors due to its exclusive features. Aluminum shaft length is approximately 18.5 inch. The mounting system is built-in. 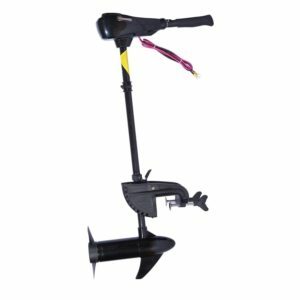 This trolling machine minimizes the headache of messing with paddles or oars. The right shaft length provides a good room for all sorts of height. It provides thrust with two reverse and two forward speeds. The propeller is particularly designed in a way that it does not stick on weeds. It comes with a 2-year warranty so that if the angler does not find it suitable then he could turn it within 2 years of span. It is not recommended for larger boats. This trolling motor does not make loud and scary noise so it becomes quite easier to silently catch the prey. It has high-strength and flexible seamless steel shaft which could be adjusted accordingly. Battery time is larger so it would be helpful while longer traveling. The good performance blade weeds away efficiently. It does not have a spare propeller. It comes with a cost of $175.50. It has the power of around 12-Volts and 420W. This is the best trolling motor because it does not make scary or irritating noise. It has a larger power which can even push the entire boat easily. The steering is quite easy. It has a good speed. The amazing adjustable handle can be tilted in any direction. It can be used with different types of the boat like seahawk, mariner, challenger, and excursion. The plastic made propellers are less corrosive and durable. The battery gauge is not that precise or accurate. Intex Trolling Motor comes with a price of $119.75. 3 reverse and 5 forward speeds. It has a power of around 12-Volts. The handle is 6-inch long and adjustable. It has a composite shaft. The propeller has an efficiency rating of approximately 0.23 kV per hours. The 10-points LED display helps you in controlling your speed. 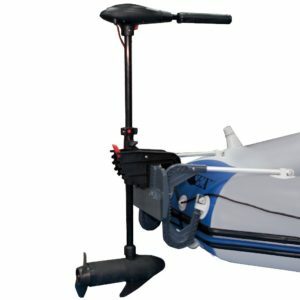 This electric trolling motor can be mounted in 10 different directions using the lever. It can easily be attached and removed from the watercraft’s transom. It offers a warranty of 90 days which is quite shorter for a trolling motor. 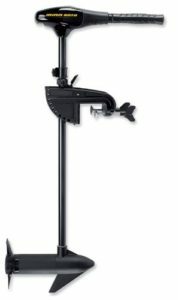 The cost of Outsuny trolling motor ranges from $119.95 – $176.57. It has an adjustable and flexible shaft. It has transom sort of mount. It has motor weight 18.50Lbs. The motor is made of stainless steel. •The material of shaft is fiberglass composite. It has an exceptionally powerful battery. The adjustable shaft length allows you to move it to the desired position. The two blade propeller ensures excellent performance of the motor. The propeller sometimes stuck in the weeds. It has the cost of $134.54. It has a power of 50lb thrust. Shaft length is approximately 36-inch. Minn Kota Endura is made from a high-quality and durable material that prevents flexing or ultraviolet damage. This feature makes it the best trolling motor. The specially designed propeller makes the motor to work well in water which has plenty of weeds or plants. The 6-inch handle is found to be quite comfortable and convenient. It is suitable for smaller to medium-sized boats but cannot be used for larger boats. It cannot be used in saltwater. It comes with a cost range of $196.88 – $613.77. 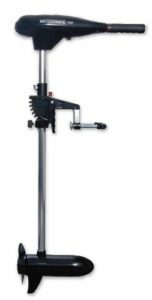 The aluminum adjustable shaft has a length of 36-inch. It has a power of 55lbs thrust. It is a 12-volt trolling motor. It is a transom mount type. 2 reverse and 5 forward speeds. Suitable for freshwater and smaller boats. It is designed in a special way that you will navigate the tricky areas without any problem. Flexible steering allows you to turn the boat in any direction smoothly. Foot pedal makes you enjoy the adventure with hands-free operation. The adjustable shaft can be raised and lowered according to the water environment. Weed-free propeller allows you to move your boat even in harsh conditions. It works efficiently to conserve the life of the battery. It is not suitable for saltwater and larger boats. It is a bit expensive due to its exclusive features. 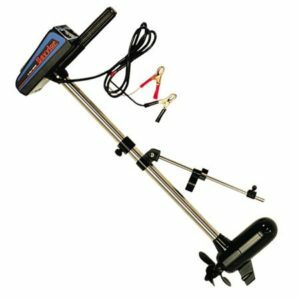 MotorGuide trolling motor comes at a cost of $266.92. 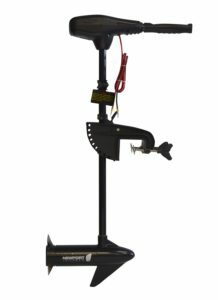 24-volt trolling motor has a power of 86lb. Composite fiberglass and the adjustable shaft have a length of 40-inch. Vessel size ranges from 10.5ft to 13.8ft. 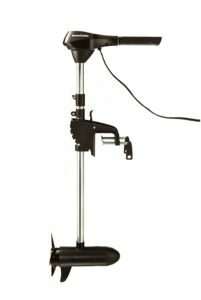 This trolling motor is suitable for all sorts of small boats. The shaft is made up of highly durable material that allows it to last for a longer period of time. It allows the boat to run smoothly without making irritating noise. It is easy to use and clamps can be attached easily to the boat. It does not work well in freshwater. It is not suitable for larger size boats. It is available at an affordable price of $372.90. 12-volt trolling motor has a power of 44lb thrust. Stainless steel shaft has a length of 36-inch. Transom trolling motor with 3-blade weed-free propellers. The high-quality material used in Watersnake trolling motor makes it highly reliable and durable. This trolling motor does not make irritating noise. The 3-blade propeller is specially designed in a way to withstand marshy and weedy areas. It comes with foot pedals that allow your arm to relax for a while. 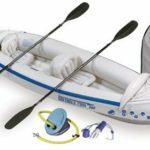 It is the best option for canoes, small tinnies, and inflatable boats. It comes with a warranty of 1-year. It is not suitable for larger boats. It comes with a cost of $154. Trolling motors come with lots of attractive features that sometimes inculcate confusion in people. With the trolling motor reviews discussed above, you can now opt for the best trolling motor with desired specifications. You will find all these products at an affordable rate on Amazon. Those high-quality products will leave you with an exceptionally powerful boat. And if you are looking for used kayaks for sale, then you must carry on reading my blog.